First time buyer? Downsizing? Here’s a prime opportunity to live in a gated complex in a move-in ready super-sized 1 bedroom condo! This bright and airy 864 sq. ft. unit has just been freshly painted, and has brand new laminate flooring and baseboards in the main living areas and bedroom. The kitchen has plenty of cabinet and counter space, and all appliances are there – stove, microwave, newer dishwasher, and LG refrigerator-all included! 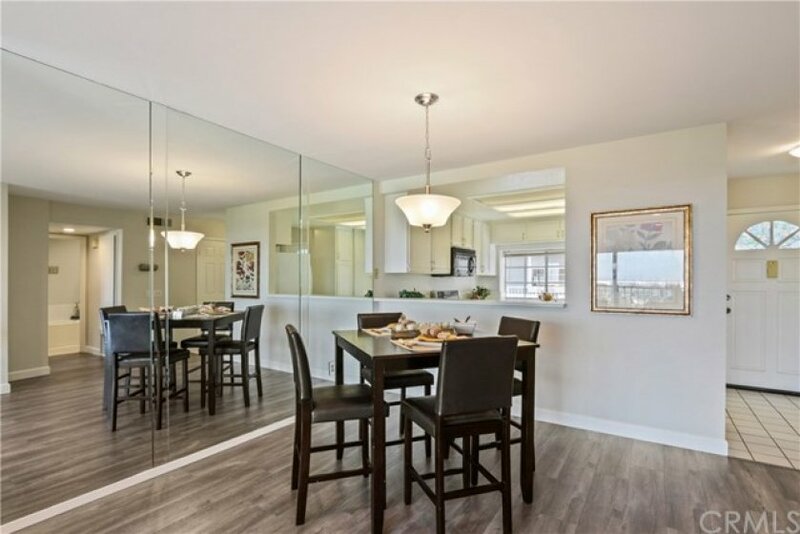 The dining room has a wall of mirror to reflect the VIEW from the living room balcony! The living room features a gas fireplace, smooth ceilings, and recessed lighting. You’ll get a good night’s sleep in the spacious bedroom with view of the night lights and greenery. 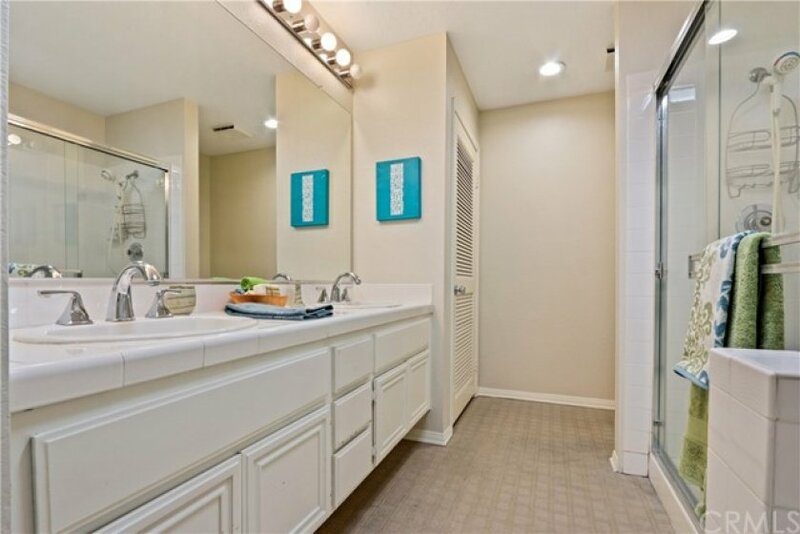 There’s storage galore with a wall closet with mirrored doors AND a walk-in closet too! The bathroom features double sinks, a walk-in shower with glass doors, a soaking tub and a laundry closet with stackable washer/dryer. The large balcony is a great place to sit and gaze at the pastoral view, enjoy your morning coffee or a nightcap! 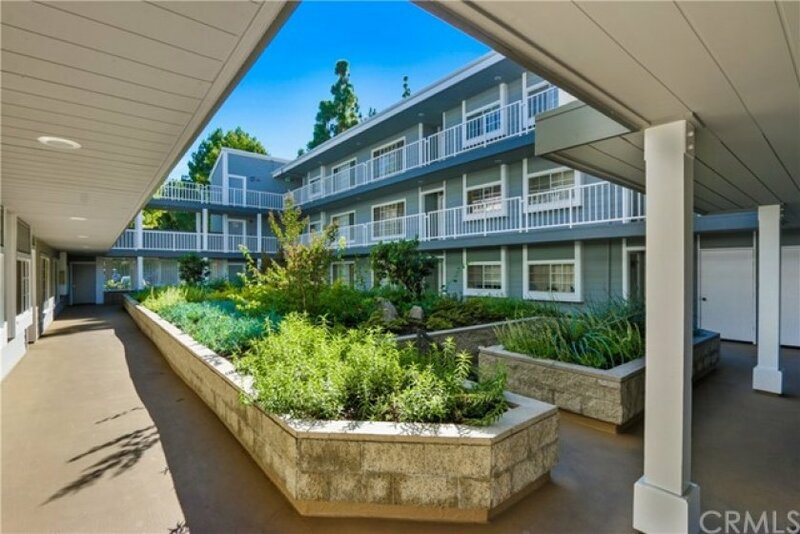 The complex has recently undergone a major renovation with new landscaping, new paint, wood repairs and more. A sparkling pool and spa are there for your enjoyment as well. 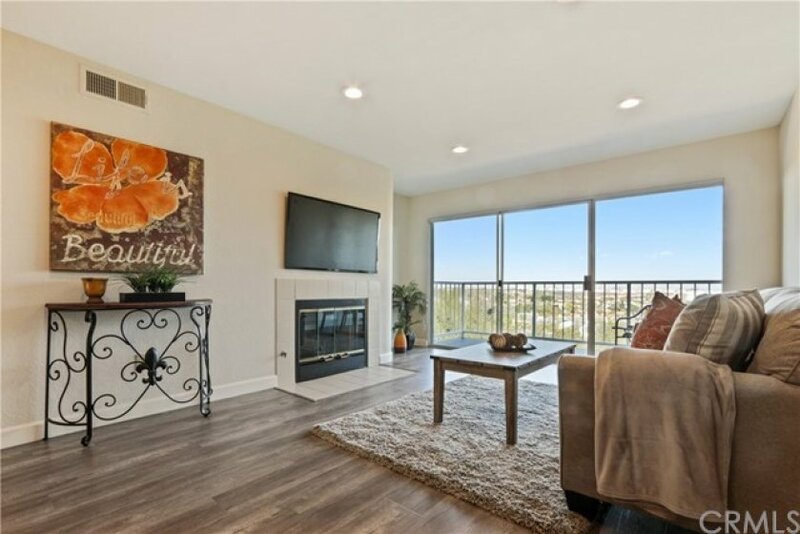 This unit comes with TWO SIDE-BY-SIDE parking spaces in a gated parking structure. Unit is well located near the elevator and also has a private storage closet. . This complex is FHA and VA approved, so bring your offer and be in for the holidays!